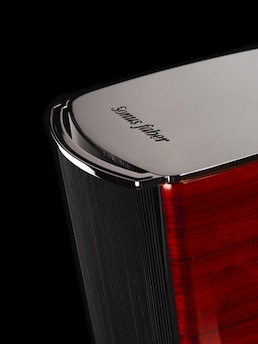 Read all about the new Amati futura from Sonus faber. There are a handful of speakers in the world today that could be described as quintessence and the new Amati future is among them. The use of the name 'Amati' is is in reverence to the three generations of famous Italian violin makers. Some of their violins made during the 16th and 17th century are still in existence today. Here began a heritage of instrument making that went on through to Stradivari and Guarneri. Sonus faber are of courses well known for the influence that these fine instruments have on both their speaker design and hand made build quality. 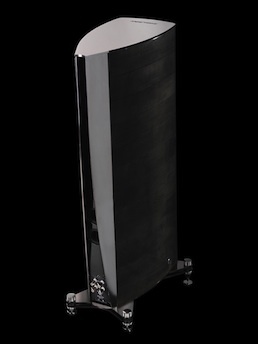 'futura' is a revised version of Sonus faber’'s earlier Amati range. Firstly they grab the eye with an even more striking, highly polished finish. A finish that is of absolute perfection. There's no escaping that these are Sonus faber speakers as their earlier design signatures remain. Sonus faber to date have always organically developed their work and stayed true to their design philosophies. Each new speaker is simply a step beyond the last. Or, in this case, several steps as there are a number of innovations developed by Sonus faber for these new Amatis. The Amati bears the usual (for Sonus faber), lute shape design and layered wood enclosure. But new is a 'exo–squeleton clamp structure with the Tuned Mass Damper inhibiting the residual resonances of the wooden structure'. Within New Zealand we are your natural first choice for Sonus faber – our experience and independence, range of models and suitable matching electronics in stock, and hard won reputation means you are assured of the best possible level of service and competitive pricing. After purchase we provide full warranty back up. All of which helps to explain why Totally Wired has been known as the NZ Sonus faber ‘Dealer of the Year’. But really all we are interested in is making sure that you get the very best speaker for your needs. That’s where in depth knowledge makes all the difference, so drop us a line soon. Many people we have been in contact with, all around the world, have Sonus faber as their chosen loudspeakers and can provide you with worthwhile first hand and unbiased advice. You may wish to tell us about your system and what you are looking for in a speaker. E-mail us and we will personally reply to you. Call us now on 0800 909 101 or e-mail us for further information, current brochures and recommendations. Talk to us about your expectations musical tastes and special requirements.